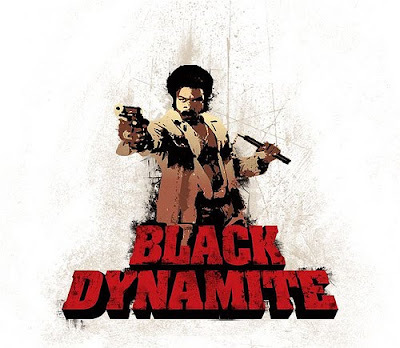 Apparition, a domestic distribution company run by Bob Berney and Bill Pohlad, will conjure up "Black Dynamite" in theaters this fall, according to Variety. The blaxploitation spoof bowed in Sundance's Midnight section this year and was bought by Sony Pictures Worldwide Acquisitions Group, which handles all domestic ancillaries for Apparition's releases. In this case, Sony brought Apparition one of their titles to distribute theatrically. "Dynamite" was helmed and co-written by Scott Sanders and stars Michael Jai White, who also co-wrote along with co-star Byron Minns. Producers are Jon Steingart and Jenny Wiener Steingart of Gotham-based Ars Nova. The film will see a release starting on Oct. 16. "Dynamite" won the Seattle film fest's audience award and played at others including Tribeca and CineVegas. Very happy to hear this. Congrats to Scott, Michael and the rest of the crew behind this project.